NaCSBA continues to focus on making custom and self build a mainstream choice for all those seeking a home of their own. We believe that our sector delivers more homes and better homes that more people aspire to live in and that communities are happier to see built. 2018 was a year dominated by Brexit, like 2019, and despite housing remaining the single most important domestic priority, it has not received the focus it needs. But look beneath the surface and progress was made, in what can best be described as a year of evolution not revolution for the custom and self build sector. And this progress is important as Right to Build Day, on 30 October 2019, marks the date when the 336 Planning Authorities in England must demonstrate for the first time that they have complied with the legislation to deliver the 18,000 permissioned plots needed to match the numbers on their self build registers at 30 October 2016. Sector statistics for custom and self build are hard to obtain, in particular on a timely basis. Information available from VAT reclaims supports NaCSBA’s view of continued growth in the sector. The market remains dominated by single plots but we are seeing the emergence of more custom build serviced plots. For example, the country’s largest serviced-plot site, Graven Hill, is now looking fuller and busier and we look forward to seeing for more of it in the spring of 2019 when it will be the star of Grand Designs! In July we welcomed a new Secretary of State (James Brokenshire) and a new Housing Minister (Kit Malthouse). NaCSBA met with the Housing Minister, and we have seen the energy and passion he has applied to his role. He clearly understands and values our sector – as demonstrated by his visit to Graven Hill – and we aim to continue to grow our relationship in 2019. In July the updated National Planning Policy Framework consolidated the need for planning policy to have due regard to the needs of those looking to commission or build their own home. The policy maintained the exemption on smaller sites, and separately the Government agreed with NaCSBA on the need to improve the ease through which the Community Infrastructure Levy exemption can be achieved. This year’s budget included the publication of the Independent Review of Build Out by Sir Oliver Letwin, which NaCSBA responded to as part of the consultation. Following our meetings with Sir Oliver, his final report recognised and reported that more homes can be built more quickly if large sites reflect the mix of homes that are needed. This specifically includes custom and self build. The Government will provide their response to the Report by the end of February 2019, but you can read NaCSBA’s views, here. NaCSBA is seeking to see the principles set out by Sir Oliver reflected in the work of Homes England. We have met with the Chairman of Homes England, Sir Edward Lister, to make the case for the sector. The sector continues to face unintended discrimination with regards to access to Government finance and with regards to the taxation position for self build compared to speculative build new homes. 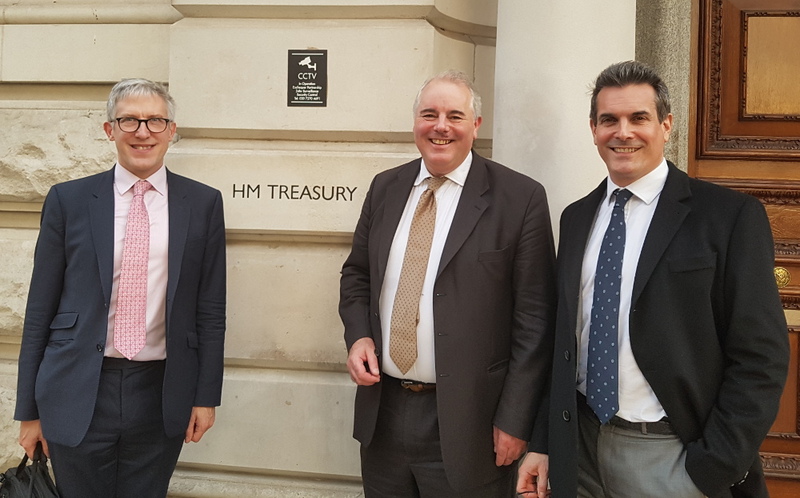 We have therefore met with HM Treasury ministers to make the case for change (main picture, with Andrew Baddeley-Chappell, NaCSBA CEO, Richard Bacon MP, Right to Build Task Force Ambassador and Michael Holmes, NaCSBA Chair). 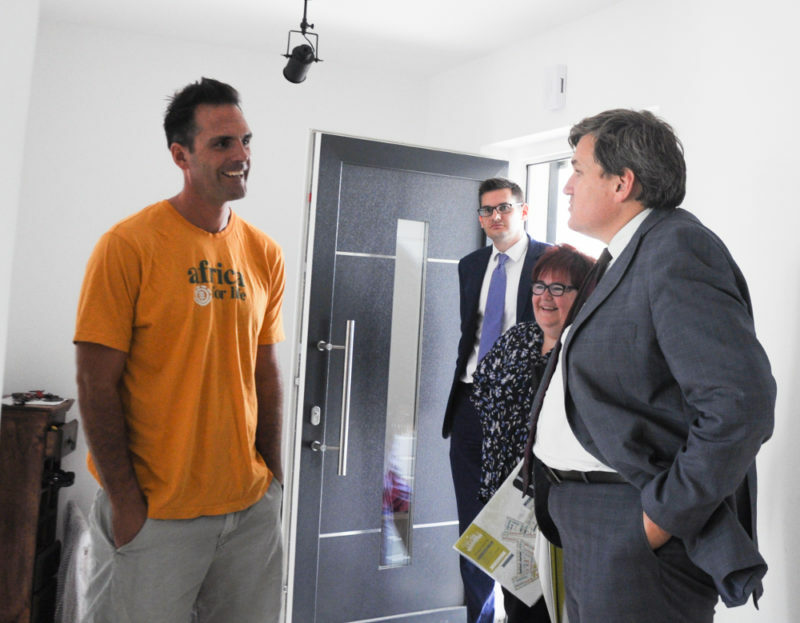 Our work has been strong supported by Richard Bacon MP and the All Party Parliamentary Group for Self-Build, Custom and Community Housebuilding & Placemaking that he chairs. Richard continues to actively support the sector in the House. Other meetings include a visit to the policy team at No10 and a meeting with the Justice Secretary. In 2018 we found the Welsh Government the most active in seeking to encourage more quality homes, and in early 2019 our work with them helped bring the announcement of a package of measures including a Self Build Fund to make it easier to self and custom build. Scotland also led the way with trials of funding and planning zones to support the sector. NaCSBA has also fed our thoughts for self build sector growth into Planning Wales and the London Plan. With support from NaCSBA, the Right to Build Task Force held its first self and custom build event in Scotland. 30 October 2108 marked the end of the third base period for the Right to Build. Our annual research of Planning Authority showed that numbers on registers had passed 40,000. It also identified a number of areas where activity (or lack of activity) was making it more difficult for individuals and groups to use the registers to help with their dream home. We will be undertaking more research in 2019 and are stepping up our campaign to get more plots permissioned. The Right to Build Task Force, a NaCSBA initiative, has been especially active this year working with planning authorities, garden villages, and other developments to support more custom and self build opportunities. 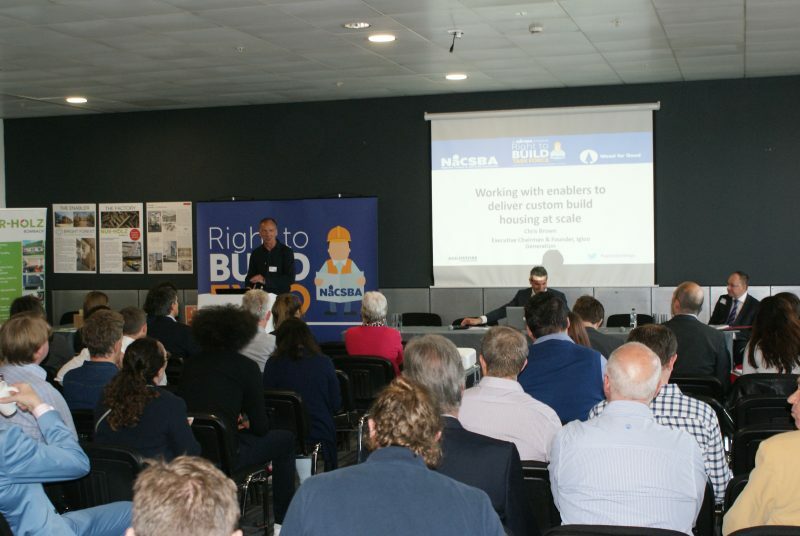 Working with the Task Force, NaCSBA has run a series of well-attended expos to help grow knowledge and understanding around custom and self build across England, which took place in Teignbridge, Fareham, London, Glasgow, Cambridgeshire, Warrington and Leeds. We have also presented to the Planning Officers Society. We recognise the hard work going on in many areas and understand that whilst the UK planning systems benefits from flexibility and judgement, it creates too many barriers for our sector. Find out more about the Right to Build Task Force, including how to get support at the Right to Build Toolkit. This year we have been work hard behind the scenes to update our websites – the NaCSBA members site, the Self Build Portal – our consumer advice site, and the Right to Build Toolkit, which we also manage. These sites are key to enable us to provide more help and support to our members and to members of the public in 2019. For the first time NaCSBA has appointed a CEO to drive and guide the organisation, an increasing complex task that our Chairman Michael Holmes has undertaken unstintingly for a number of years. In 2018 NaCSBA further improved our offering to our members with the launch of a dispute resolution service, as set out in our Code of Practice. Whilst we anticipate it will be rarely used, it is yet another reason for those seeking to self and custom build to look to our members in making their dream home a reality, offering confidence to consumers. Right to Build Day on 30 October 2019 will be with us sooner than you think. As noted above, this marks the first date by which planning authorities must have agreed sufficient appropriate planning permissions to match the 18,000 entries onto the local self build registers up to 30 October 2016. A major focus for the year will be making this happen and using this day to encourage many more individuals and groups to consider custom and self build. We plan to make the most of Grand Designs from Graven Hill in March and to follow this with National Custom and Self Build Week which will run from 6 to 10 May. Thank you for your interest and support, which is essential to the work that we do. We are a diverse sector and we aim to meet all your needs. We aim to be an open, friendly and welcoming organisation and we benefit greatly from the involvement of our members. Please keep in touch and help us to help you. With my very best wishes for 2019. Andrew Baddeley-Chappell, Chief Executive Officer, NaCSBA.